The Dallas skyline, photographed by Alfred Eisenstaedt in late 1942 for Life magazine, but, as far as I can tell, it was not published. 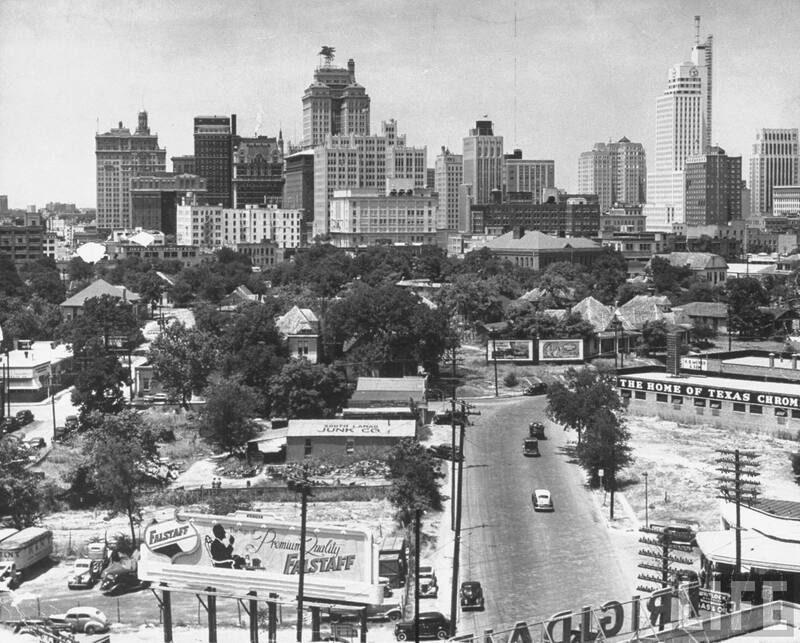 One of my favorite views of downtown, from the Cedars, back when Pegasus was still visible. It’s an awful nice photograph, both grand and down to earth all at the same time.